Online marketing has taken businesses by storm. Every business needs to be recognized and reach its potential customers. 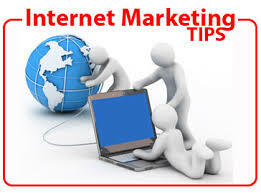 From social media marketing to paid ads, the ideas for online marketing are numerous. The proliferation of information technology has resulted in the adoption of these ideas as the mainstream form of reaching and engaging with target customers. Despite this, there are some ideas that are applicable in online marketing that has greatly been overlooked and undermined. This article sheds some light on these key ideas. A majority of businesses engage in content marketing. It is one of the major marketing tools that people are conversant with and applies to almost any online business. However, people engage their customers with content at the expense of contest marketing. Contest ideas are essential when it comes to engaging customers. Some of the most successful online platforms such as freelancer always have an open contest where people compete to win prizes. Such an idea is essential to keep consumers tracking their performance and getting engaged with the business. Newspaper comics are a dying breed. However, statistics show that engaging your audience using comics that mirror your industry aspects goes a long way in differentiating your services and products. People are more engaged in providing videos and overlook the power of comics. Tapping into this niche will ensure that you have less competition on how you engage and reach your customers. Comics will tell the story behind your company and the services you offer in a cool, engaging and fun way that entice your online visitors to turn into consumers. To spice things up, memes are fun and familiar to users around the internet. Sites that utilize these ideas are few but reap a lot from their creativity. Success online heavily relies on creativity and offering a fun and interactive way of engaging your potential clients. Memes go a long way in ensuring that professionalism and entertainment are attained and maintained while conveying your message to clients. With the right message, more visitors will be engaged. Forums were the pioneers of online marketing and engaging with consumers. However, to most, forums are viewed as outdated and traditional. What people fail to understand that forums are a powerful tool for engaging people for a long time. They are the dictionaries of online marketing. The views, ideas and the responses posted on forums are long lasting and intuitive. Therefore, do not underestimate the power of forums when projecting for long term goals of engaging your visitors. When you want to indulge with the users and keep them excited, gamification is the way to go. People are excited with an instant affirmation, and they love it as they view it as progress. Utilizing applications such as Foursquare that use the technique and combine it with loyalty programs is an excellent way of engaging your customers. Ensuring customers earn stars for their loyalty of using your service or buying your product is critical to maintaining customer loyalty and getting referrals. The adoption and implementation of online marketing ideas that are effective and yet not popular with other users gives you an upper hand. The idea is to be unique and present your products and services to potential customers and doing this will greatly enhance your business and present you with a competitive advantage compared to your competitors.